Another favorite cookie of mine (I have a lot of favorite cookies) is the Carousel Frosted Animal Cookie. 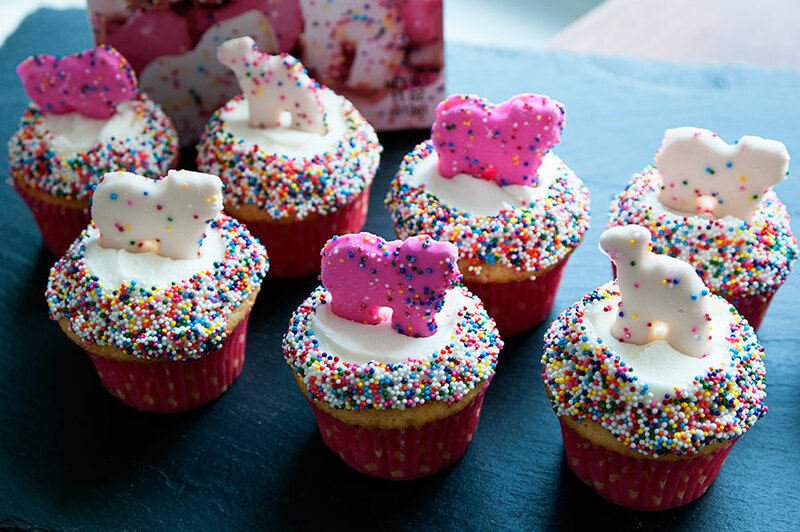 These are not to be confused with other frosted animal cookies – because they are better than any of the competition. A few years ago I made cut-out cookies inspired by these little pink and white beauties. This time around I’m featuring them on cupcakes. There is nothing special about these cupcakes — they are mainly here to serve as a decorating idea! Hope you enjoy! 1. Make cupcakes according to box directions and allow to cool completely. 2. Make a batch of buttercream icing and frost each cupcake. 3. Dip the sides of the cupcakes into a bowl of rainbow nonpareils. 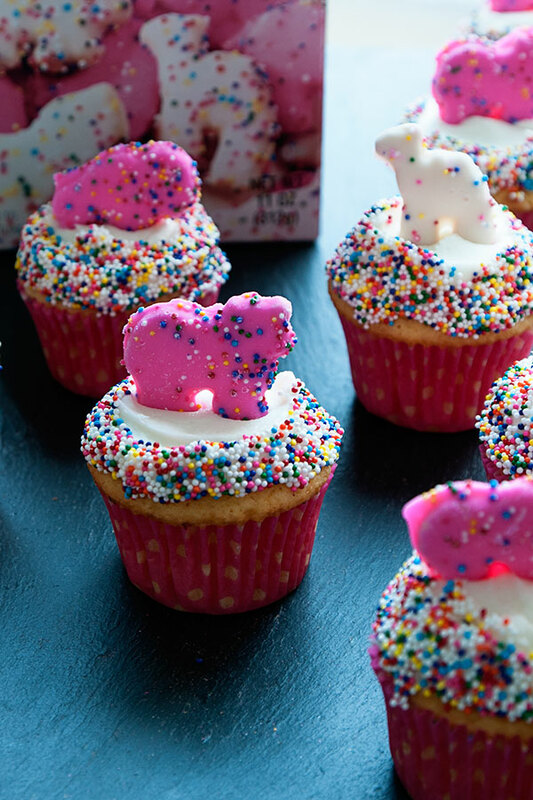 Top each cupcake with a frosted animal cookie.